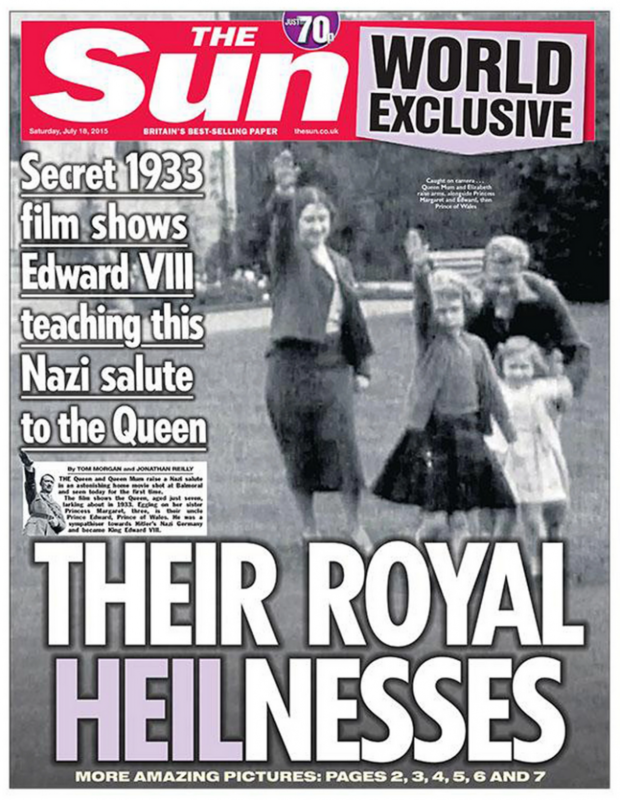 HM’s Nazi Salute: Relevant to What? 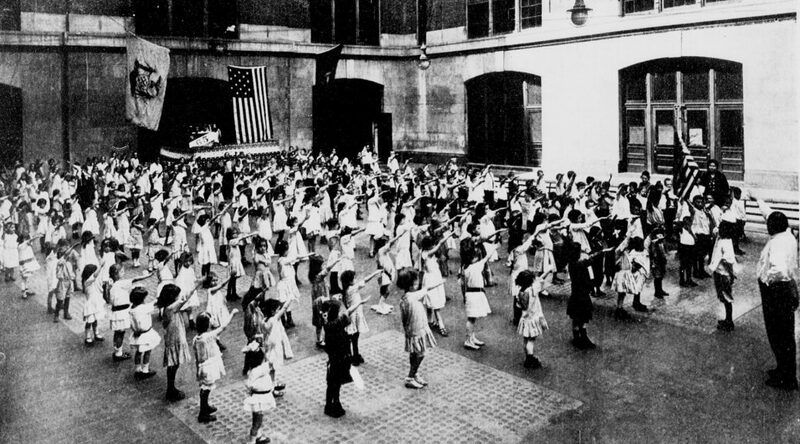 Stiff-Arm Salute: Must We Know Everything? Claim­ing it is “his­tor­i­cal­ly rel­e­vant,” the Sun defend­ed pub­li­ca­tion of a six-year-old Princess Eliz­a­beth, coached by her moth­er the future Queen Eliz­a­beth and her uncle the Prince of Wales (lat­er Edward VIII, still lat­er the Duke of Wind­sor) rais­ing her arm in the stiff salute now iden­ti­fied with the Nazi par­ty. It’s “in the pub­lic inter­est,” wails the Sun.